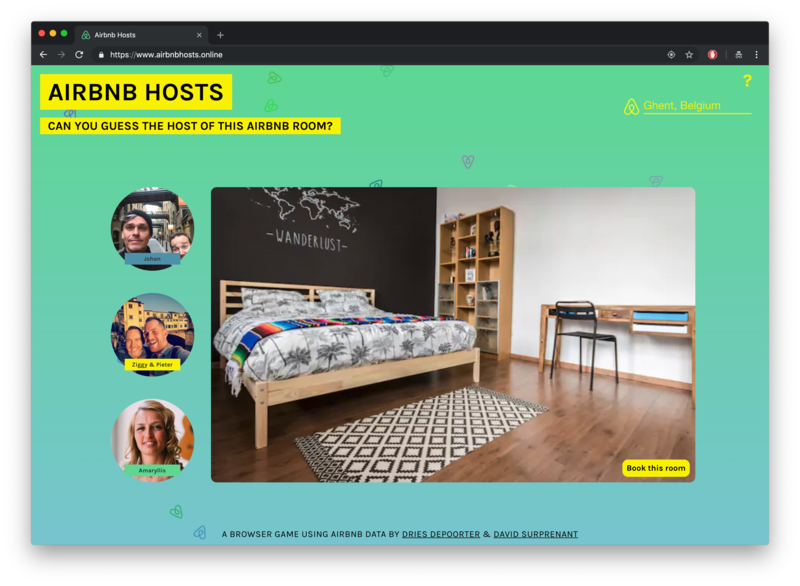 Game uses Airbnb data where you need to guess the owner of the room. The game presents you a picture of an Airbnb room and 3 Airbnb Hosts. You need to match the owner with the room!